Traub Design Associates - "The Laura Ingalls Wilder Home and Museum – Interpretive Plan"
Almanzo had developed over their many years in Missouri. It was from this home that Laura started her writing career, writing articles for the Missouri Farmer and the Country Gentleman magazines, and later authored the Little House books that have captured the hearts and imaginations of children for generations. After purchasing nearly 200 acres of the original farm and opening a small museum on the property several years ago, the foundation now looks forward to further restoration of the site and remaining an active and viable education venue in South Central Missouri. A local architectural firm was commissioned to create a site master plan and Traub Design Associates was engaged to create an interpretive plan for the site. 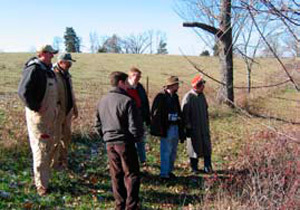 together with TDA’s expertise in museum development and interpretive planning, added expertise in agricultural history, public history, archival development/preservation, and docent training. The chairman of the foundation board, assistant director of the museum, and the project architect represented the client. 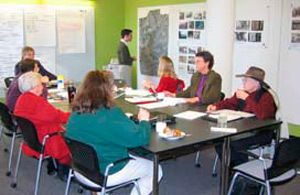 A two-day charrette resulted in a 50 page interpretive plan, proposing short-range projects that could be immediately implemented with little or no cost; mid-range solutions that would occur with or after the relocation of the museum and restoration of the grounds immediately surrounding the LIW home; and blue-sky options for some time in the future. The team created a time-line that showed national and regional events juxtaposed with events in the lives of the Wilders at Rocky Ridge Farm. Additionally the team suggested regional and national associations that would be helpful to the foundation, and offered their collective and individual assistance to the foundation for the implementation of any part of the Interpretive Plan.